In this introductory lesson you will find some guidance on how you should write an IELTS essay. 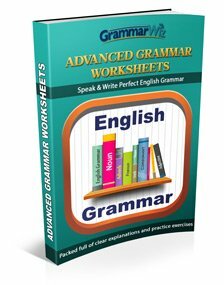 There are then more lessons on the following pages for different types of essay and different questions, with lots of tips and strategies for achieving a high score. 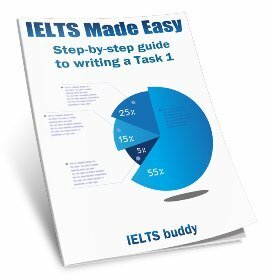 It is important to learn about IELTS essays because there are different essay types, and these will require different ways to answer them. 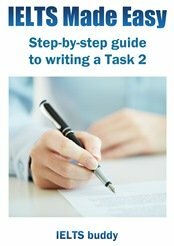 You may get some of these tasks mixed up. For example, you could be asked to give your opinion on an issue, and then discuss the advantages or disadvantages of it. In the last 20 years there have been significant developments in the field of information technology (IT), for example the World Wide Web and communication by email. However, these developments in IT are likely to have more negative effects than positive in the future. The last two decades have seen enormous changes in the way people's lives are affected by IT, with many advances in this field. However, while these technological advances have brought many benefits to the world, it can be argued that these developments in IT will result in more negative impacts than positive. View this lesson for more advice on writing IELTS essay introductions. Nevertheless, the effects of this new technology have not all been beneficial. For example, many people feel that the widespread use of email is destroying traditional forms of communication such as letter writing, telephone and face-to-face conversation. This could result in a decline in people's basic ability to socialize and interact with each other on a day-to-day basis. In conclusion, developments in IT have brought many benefits, yet I believe developments relating to new technology are likely to produce many negative effects in the future that must be addressed if we are to avoid damaging impacts on individuals and society. 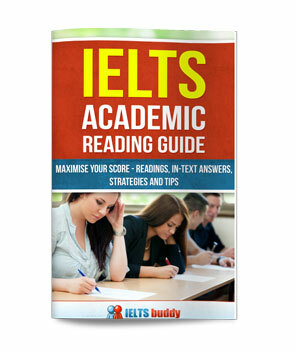 The IELTS essay introduction talks in general about the increasing use of IT, thus introducing the topic well. The thesis then clearly sets out the writers opinion. The following paragraph mentions the present benefits of these developments, but the opening sentence in the third paragraph is a qualifying statement (Nevertheless, not all the effects...), so the writer can now focus on the negative elements. The fourth paragraph provides two other negative examples (lack of regulation, viruses). Both paragraphs suggest that these problems will continue in the future. The essay concludes with a clear opinion that agrees with the statement. Overall, it is a well-balanced text that mentions the present situation (...this has made life...) but importantly, also refers to the future of IT (...likely to increase..., might get worse...). 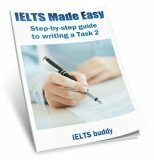 Then you may be interested in IELTS buddy's Task 2 eBook, full of tips and strategies for quickly achieving a high score in the IELTS test. Now you know the basics of writing an IELTS Essay, you can go on and look at further sample essays or if you prefer, check out the next lessons for Writing Task 2.